Here’s what would happen in a perfect world. You’d turn on your furnace, and a few minutes later you’d hear the familiar whirring of the fan within the system. The reason it takes a few minutes is because the heat exchangers actually have to heat up from the burners, and the fan won’t start going until that happens. Once you hear that whirring, though, you’re satisfied knowing that comfortable warmth is about to come flowing into your home through the vents. Other than this familiar noise, you shouldn’t expect to hear much else from your furnace or heating system. But what if you do? 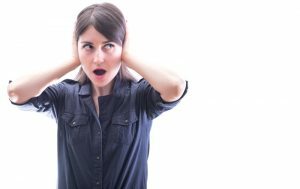 What if you hear strange or very loud noises coming from the system itself, its ductwork, or the vents in your home? Well, then it’s about time to call in our pros for furnace repair in Lawrenceville. In the meantime, we’ve offered some insight below into what may be going on when you hear the particular noises we’re about to name. If your furnace is gas-powered, this is an especially dangerous problem. Hearing a loud bang at startup from a furnace is never good. Although it bears mentioning that “banging” you hear consistently during the time your furnace is running is not the same thing. It’s typically indicative of your air ducts fluctuating—expanding and contracting—due to the change of temperatures within. But if you hear a loud, distinguishable bang during system startup, you’d be right to be concerned. The reason this happens can be due to something as simply as a dirty burner. What happens with this, though, is that the dirt builds up and covers the burners so that gas buildups until it “pops” through the dirt in a little mini-explosion of sorts. This doesn’t create damage right away in most cases, but what it does is create strain on the heat exchangers, which will eventually crack and enable dangerous gases to escape into your living space. Any squealing you hear coming from a furnace may be the result of a lack of lubrication, or perhaps a blower fan belt that has worn down. This is an easy fix in the grand scheme of things, but that doesn’t mean you should wait on the repair. If you let it go on for too long, the fan may stop working altogether, which in turn will keep your furnace from running when you need it most. It’s always best to repair a heating problem sooner rather than later, if you want to avoid a total system breakdown. Have you ever been right next to your unit and noticed a low rumbling noise coming from it? If so, it may be that your pilot light flame is too low. Be sure to check this by seeing if it is blue instead of yellow or orange. If the pilot light is not the blame, then a rumbling sound can mean you have a harmful carbon monoxide leak. If you suspect this, cease use of your furnace right away and either call for emergency services or exit your home and call your utility company. Wall Heating & Air Conditioning Inc. is your trusted resource for furnace repairs and so much more. Contact us today!